During the summer of 2017, we performed an abundance study on humpback whale, fin whale, and orca populations along the northern coast of BC. Special effort was directed towards humpback whale bubble-net feeding behaviour,. 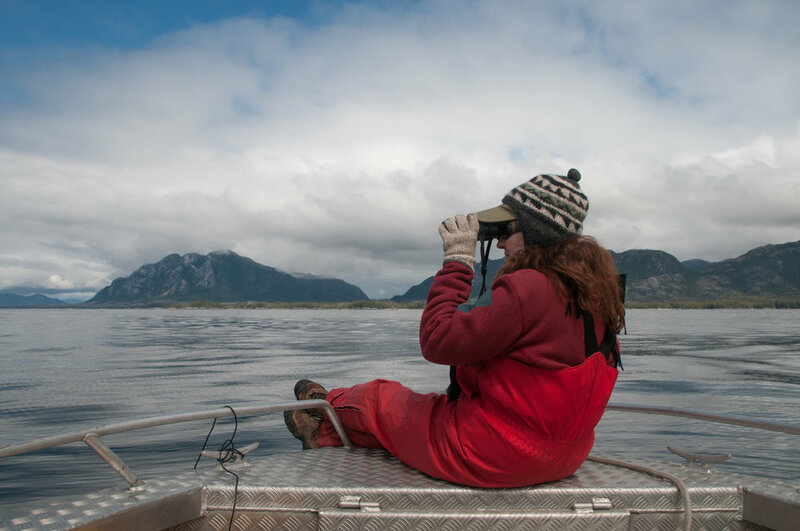 In collaboration with other whale research groups in British Columbia, we are building a coast-wide identification catalogue for humpback whales. This project will enable us to understand the broader picture in regards to habitat use and social relationships of humpback whales. In 2008 Cetacea Lab installed a hydrophone just off of the Wall Islets, two small islands located south of Gil Island. Shortly thereafter it was apparent from the amount of acoustic activity we were detecting, that the Wall Islets were perfectly placed on the edge of an orca highway and a hot-spot for humpback whale bubble-net feeding.